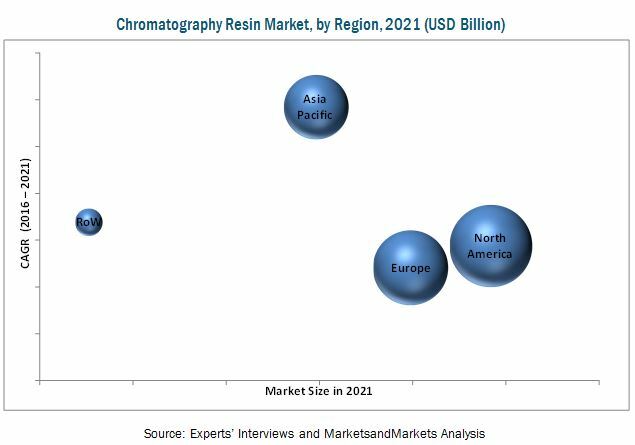 [145 Pages Report] The Market for Chromatography Resin was valued at USD 1.61 Billion in 2015, and is projected to grow at a CAGR of 7.41% from 2016 to 2021. The base year considered for the study is 2015, and the forecast period is from 2016 to 2021. The research methodology used to estimate and project the market size included the ‘top-down’ and ‘bottom-up’ approaches. The total size of the chromatography resin market was calculated and accordingly, weightages were provided for various segments. This was done on the basis of extensive primary interviews and secondary research based on the information available on websites of various associations such as Chinese American Chromatography Association, Chromatography Society, and International Association for the Advancement of High Performance Thin Layer Chromatography (HPTLC Association). Primary research conducted for this report included extensive interviews with key people such as CEOs, VPs, directors, and executives. After arriving at the overall market size, the total market was split into several segments and subsegments. 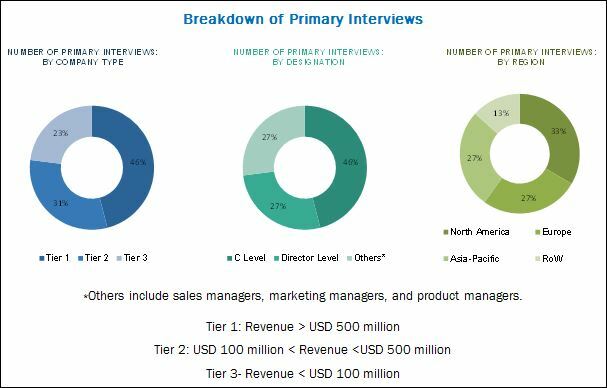 The data triangulation and market breakdown procedures were employed to complete the overall market engineering process and arrive at the exact statistics for all segments and subsegments. The breakdown of profiles of primary respondents is depicted in the figure below. The ecosystem of the chromatograhy resin market comprises distributors/suppliers of chromatography resin. Some of the major companies operating in this market are Bio-Rad Laboratories Inc. (U.S.), GE Healthcare (U.S.), Tosoh Corporation (Japan), Merck KGaA (U.S.), Pall Corporation (U.S.), Avantor Performance Materials Inc. (U.S.), Mitsubishi Chemical Corporation (Japan), Purolite Corporation (U.S.), Repligen Corporation (U.S.), and Thermo Fisher Scientific Inc. (U.S.).